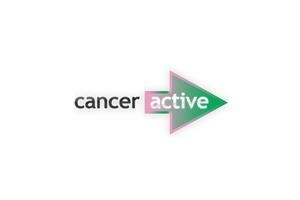 This is a review of some of the cancer research stories and information we have covered in Cancer Watch, the CANCERactive news centre, over the last 6 months. All references and even more evidence-based information can be found in the individual cancer news items listed above. According to a report in The Lancet (July 23rd 2015) Bisphosphonates (which are used to strengthen bones), if administered early to breast cancer patients before the cancer has spread to the bones), can limit metastases. Analysing data from 18,766 women, the reduction in metastases to the bones, shown by women taking bisphosphonates overall was significant. While there was little advantage to pre-menopausal women, post-menopausal women had ‘highly significant reductions’ in recurrence, bone occurrence and breast cancer mortality (Ref: The Lancet; October 3rd 2015, Vol 386). In a meta-study covering nine trials and 35,129 women, 5 years of Tamoxifen was compared to 5 years of AIs. AIs were superior in preventing recurrence throughout the 5 years of therapy and also reduced the 10-year risk for breast cancer mortality by 15 per cent. Conversely, taking Tamoxifen for 5 years was associated with higher rates of recurrence and breast cancer mortality than taking Tamoxifen for 2 to 3 years, followed by AI therapy. Among women receiving split therapy with Tamoxifen, then AIs, the risk for recurrence was higher only during the period of Tamoxifen use. Breast cancer mortality outcomes were similar in comparing 2 to 3 years of Tamoxifen, then AI therapy, with AI therapy for 5 years. AI therapy was also superior to Tamoxifen in the outcome of all-cause mortality. Compared with Tamoxifen, AIs were associated with a lower rate of endometrial cancer, but AIs promoted higher rates of fracture. Bisphosphonate treatment may help reduce fracture rates. A two part study involving 257 women recently diagnosed with Her-2 breast cancer, showed 11 per cent of patients taking the double drug combination of Herceptin and GSK’s Tyverb has their cancers disappear in just 11 days. The drug was even shown to be effective even in cases where disease had spread to the lymph nodes. All in all some 87 per cent of patients seemed to have some benefit. A new genetic test, dubbed the mamaprint, can show if women need chemo after breast cancer surgery. Of 53,000 women who are diagnosed each year with breast cancer, 43,000 undergo surgery, and then 18,000 of these have chemotherapy. Women who have breast cancer surgery often wonder why they need so much chemotherapy afterwards. 4 drugs in one 6-month chemo programme (FEC-T) may be used. But it is estimated that 14 per cent of women have no need for any drug intervention. Now Belgian experts from the Jules Bordet Institute in Brussels have produced a test, which identifies those women whose tumour had a genetic composition that made the cancer unlikely to return. 70 genes are scanned in the test. In the screening trial, the mamaprint deemed 1550 women to be low risk, where ordinarily they would have been given the chemo as high-risk patients. And 94% of this group saw no return of the cancer, whether or not they had had chemo. This was a large scale study which would not only save a considerable number of women from having unnecessary chemo. It would also save significant sums of money on wasted drugs. The test costs about £2,675. CANCERactive has championed the use of HIFU (High Intensity Focused Ultrasound) for ten or more years now despite being attacked for its views. With HIFU, cancer tumours (prostate, kidney and others) simply melt away, side-effects are minimal and hospitalisation can be just a few days or even as an out-patient. But suddenly now, Cancer Research UK are hailing it a ‘revolutionary new therapy for cancer and associated conditions’! Why? Researchers working at the Institute of Cancer Research (ICR), at the Royal Marsden Hospital in Sutton, south London have now been using the technology to kill off metastatic bone lesions. And this ‘breakthrough’ report even claimed that, "in future, doctors believe they will also use ultrasound to zap prostate, breast and other tumours", just as we have been telling you for years. “This technology has immense potential,” said Professor Gail ter Haar, who is based at the institute. Ultrasound beams are guided to milllimetre precision by magnetic resonance scanners. More and more evidence that stress causes and spreads cancer is building. Published online in the International Journal of Cancer, research from scientists at The University of Western Ontario has taken yet another step toward confirming the ‘stress causes cancer’ effect. Studying a branch of the nervous system called the sympathetic nervous system, which “talks” to cells in various organs throughout the body, they found that when the sympathetic nervous system is activated, as it is during stress, it communicates with receptors on cells through the release of neurotransmitters called norepinephrine and neuropeptide Y or NPY. This is a normal response that prepares the body for “fight or flight”. A new cancer therapy using nanotechnology has cured terminal breast cancer in mice. The nanotechnology gets past the cancer tumour’s normal defence system and delivers drugs directly to the heart of tumours. The team used a standard chemotherapy drug, doxorubicin, but absorbed it into microscopic discs made of silicon. These hide the drug from the cancer’s defence. Once inside the tumour cells, the discs break down and release the drug. The technology can be used with metastatic cancers anywhere in the body. They took a drug called paclitaxel (Taxol), which ‘has some serious side-effects that were causing concern amongst doctors in the USA’ and ‘packaged’ the drug in ‘immune bubbles’ or exosomes, developed from the patient’s own white blood cells. "We don’t know exactly how they do it, but the exosomes swarm the cancer cells, completely bypassing any drug resistance they may have and delivering their payload," says Batrakova. A 20-year study by the American Cancer Society followed 10,000 men diagnosed with, and treated for, prostate cancer. Those who did 5 hours exercise a week were 34 per cent less likely to die than those who did less than an hour. Bacteria behind gum disease have been linked with an increased risk of oesophageal cancer, according to researchers at the Louisiana School of Dentistry. cell carci’ (ESCC) patients, but it was indetectable in healthy patients. in cancer cases”. It may even be used as part of treatment programmes. University of Chicago researchers studied tumour growth in two groups of mice and looked at the bacterial make up of the gut. Those having good levels of Bifidobacteria in their gut had slower tumour growth. By passing the Bifidobacteria to the mice that had very few, their tumour growth immediately slowed markedly. Researchers from the University of Lille in France have studied the immunotherapy drug ipilimumab and found a rather inconvenient truth. The effectiveness of ipilmumab is totally linked to levels of bifidobacteria and other commensal bacteria in the gut! Unfortunately, the drug is known to destroy levels of good bacteria. The researchers concluded that it was essential to supplement with a probiotic. Treatment of Glioblastoma (GBM) is ‘still left wanting with the cancer resistant to many drugs. Prognosis is dismal and recurrence is often fast. The source of the relapse and even chemoresistance is the stem cells at the heart of the tumour’. Now researchers have found that combining Temozolomide (TMZ) with Metformin (MET) synergistically inhibited proliferation and induced apoptosis – in both glioma cells and the stem cells. Combination of TMZ and MET significantly reduced the secondary gliosphere formation and expansion of GSCs. TMZ in combination with MET synergistically inhibits the GSCs proliferation through down-regulation of AKT-mTOR signaling pathway. Researchers from Jilin Hospital, China were clear that he combined treatment of two drugs inhibits GSCs self-renewal capability and partly eliminates the stem cells both in vitro and in vivo. In other studies in Cancer Watch 2016, the herb berberine had a similar glucose reducing and synergistic effect. The herbal poultice works by increasing the visibility of the cancer cells to the immune system according to lead researcher Sofia Michelson. Joint head of research Claudio Acuna stated that the biggest problem in melanoma was its ability to ‘hide’ from the immune system and extracts from the common shrub at the centre of the ointment prevented that. The researchers found that the ointment needed to be added every three days for about a month onto the protected site. The key issue is apparently to tackle the cancer before the tumour grows, and this cream does that more than doubling survival times. A study of over 1000 colon cancer patients, all stage III and treated with surgery and chemotherapy, who drank more than FOUR cups of coffee a day (over 460 milligrams of caffeine)were 42% less likely to see their cancer return than non-coffee drinkers and 33% less likely to die from cancer or any other cause. The effect of coffee was dose-dependent, increasing as more of the beverage was consumed. Two to three cups a day produced a more modest benefit, while one cup or less offered little protection. Lead scientist Dr. Charles S. Fuchs, director of the Gastrointestinal Cancer Centre at the Dana-Farber Cancer Institute in America, said: "We found that coffee drinkers had a lower risk of the cancer coming back and a significantly greater survival and chance of a cure." Previously, coffee was thought to be a risk factor. The University of Pennsylvania’s Abramson Cancer Center and the Perelman School of medicine have taken T-cells from individual patients, modified them with chimeric antigen receptors (CARs) and then re-introduced them into the patient. The CAR-T cells target the CD19 protein on the cancerous B cells in leukaemia, thus helping the immune system recognize the cancer cells. Similarly, scientists in the Fred Hutchinson Cancer Research Center, Seattle, lead by Professor Stanley Riddell, presented their ‘breakthrough’ news at the American Association for the Advancement of Science (AAAS) annual meeting on February 14th 2016, in Washington DC. They too have been looking at T-cells in the immune system because of their longevity and ability to clonally expand. In their case they modified T cells to express a synthetic chimeric antigen receptor (CAR) that targets a B cell molecule (CD19). Typically B-cell malignances including acute lymphoblastic leukemia, chronic lymphocytic leukemia and non-Hodgkin’s lymphoma. In terminal patients, where the prognosis had been for a maximum three to five months’ survival, Riddell said that the early results were ‘unprecedented’. “A single dose put almost 90 per cent of these patients into remission”, Riddell told the BBC. Chronic Myeloid Leukaemia is usually treated with Gleevec, which can control the disease but never get rid of it. However adding common diabetes drugs might help eradicate the residual dormant drug-resistant cancer cells lying in the bone marrow. Researchers found that patients who received a glitazone -- a class of drug for type 2 diabetes -- along with the standard CML drug imatinib (Gleevec) remained disease-free for up to nearly five years. The glitazones seem to pre-sensitise the cancer cells to attack by Gleevec. Without the Glitzones, the dormant cells can sometimes suddenly become highly aggressive. These are still early days for this work – typical gltazones are Actos and Avandia. The disease is found mainly in adults, and tends to be slow growing with 94 per cent of patients surviving 5 years. However it can suddenly become aggressive (Sept 2; Nature; online). Now it seems one of the principal causes may be the drugs themselves. The new findings, albeit using mice, show that probiotics are clearly capable of reducing liver tumor growth by blocking “angiogenesis” (the process by which tumors generate new blood vessels to spread and grow). When the mice were fed probiotics, after giving them liver tumours, their tumours reduced in size by 40 percent reduction and had a 52 percent reduction in blood vessel growth. Research from the Mayo Clinic, reported in Nature Cell Biology, claims that adding back missing microMRA peptides, can cause cancer cells to normalize. Peptides are merely small portions of proteins. The research involves ‘adhesion molecules’ that were thought to be the glue that held cells together. Now they seem to be involved in signaling, and capable of regenerating a healthy cell from a deficient one. An ‘alternative’ Doctor Stanislaw Burzynski has long argued that cancer cells could be corrected by re-introducing missing peptides. The mighty NCI now features a page on how cannabis, and the active ingredients cannabinoids might treat cancer. The page is part of the NCI’s comprehensive cancer database, and is based on a review of the medical literature. Cannabis contains compounds called cannabinoids which, the website states, "may be useful in treating the side effects of cancer and cancer treatment". This follows the announcement in April from another American Government agency NIDA that "Recent animal studies have shown that marijuana can kill certain cancer cells and reduce the size of others. Evidence from one animal study suggests that extracts from whole-plant marijuana can shrink one of the most serious types of brain tumours. Research in mice showed that these extracts, when used with radiation, increased the cancer-killing effects of the radiation." 11 US states have already legalized growing cannabis for medicinal use, and more are taking action currently. If you have always worried about the Paleo Diet, you were probably correct. While there is a stack of research behind the colourful Mediterranean Diet, (The Rainbow Diet), and next to nothing behind the Paleo Diet, it also seems artificial, even hypothetical to me with lots of ‘bolt-ons’ like ‘It’s gluten free’, when it probably wasn’t. Cue scientists who have now pronounced that it is tosh. The low carb, high protein Paleo diet is not likely to be what our cavemen forefathers ate at all. Why, because carbs and root vegetables were a really important part of their diet. In a new study entitled “Big brains needed carbs”, researchers Dr. Karen Hardy and her team bring together archaeological, anthropological, genetic, physiological and anatomical data to argue that carbohydrate consumption, particularly in the form of starch, was critical for the accelerated expansion of the human brain over the last million years, and co-evolved both with the salivary amylase genes and controlled fire use for cooking. (The Quarterly Review of Biology). Australian scientists have shown that ‘stress acts as a fertilizer for cancer‘ - it induces signaling in the sympathetic nervous system and drives cancer progression. It actually restructures lymphatic networks within and around tumours to provide pathways for tumour cell escape. When SNS signaling is stopped, it blocks the effect of chronic stress on lymphatic remodelling in vivo in mice and reduces lymphatic metastasis in preclinical cancer models and in patients with breast cancer. Vegetarian Diet changes you genes over time! New research from Cornell University has found that, over hundreds of generations, vegetarians develop a different set of genes. Indeed, Cornell researchers describe different version of a gene (called allele) that has evolved in populations having vegetarian diets, for example in India, Africa and parts of East Asia. A different version of this allele but adapted to a marine-rich diet was discovered among the Inuit in Greenland, who mainly consume seafood. The vegetarian allele allows populations to process short-chain plant-based omega-3 and omega-6 fatty acids into the equivalent of fish oil long-chain omega-3 which is essential for early brain development and controlling inflammation. The Inuit allele has almost the opposite effect. Normal humans need both long-chain omega-3 (typically in fish oils) and short-chain omega-3 (typically in flaxseed). Only 14 per cent of short-chain omega-3 can convert to its long-chain cousin, in normal humans. FADS1 and FADS2 are enzymes that are essential for converting omega-3 and omega-6 fatty acids into ‘downstream products’ needed for brain development and controlling inflammation. Meat and seafood eaters have less need for increased FADS1 and FADS2 enzymes to get proper nutrition because their omega-3 and omega-6 fatty acid conversion process is simpler and requires fewer steps. Many National Newspapers in the UK have provided headlines from this research saying that vegetarians thus have higher risk of cancer and heart problems because they have no anti-inflammatory compound production system, (no allele). As a result secondary, and inflammatory, bile acids are produced. This is not an accurate conclusion of the research. It is possible that new vegetarians who consume no long-chain omega 3 might be at greater risk, but not long-term families of vegetarians who have the allele. A study published I the American Journal of Clinical Nutrition concludes that eating more than your far share of carrots can reduce breast cancer risk. Unfortunately this phenomenon had no effect on oestrogen-driven breast cancer, which accounts for about 75% of breast cancers. At the heart of the beneft is beta-carotene a vitamin available in nature in cis- and trans- forms. Supplements rarely have both and are often synthetic. Eating natural carrots could reduce the risk of non-oestrogen-driven breast cancers by 40-60%. Beta-carotene is also available in red and yellow peppers, greens and chlorella, apricots and sweet potatoes. We have previously covered research in Cancer Watch showing that women with the highest plasma levels of beta-carotene rarely see their breast cancer return. Ginger 10,000 times more effective than breast cancer drug taxol! A new study (Anasuya Ray, Smreti Vasudevan, Suparna Sengupta, looked at the inhibitory activity of the ginger-derived compound 6-shogaol against breast cancer cells both the normal and the stem cell versions. Cancer Stem Cells (CSCs) are the troublesome cells at the heart of cancers that re-grow after tumours are knocked-back by chemotherapy. No drugs currently exist in 2016 that can kill CSCs. Research concluded, ‘6-shogaol was effective in killing both breast cancer monolayer cells (normal) and spheroids (CSCs) at doses that were not toxic to non-cancerous cells. The percentages of CD44+CD24-/low cells and the secondary sphere content were reduced drastically upon treatment with 6-shogaol confirming its action on CSCs. Treatment with 6-shogaol caused cytoplasmic vacuole formation and cleavage of microtubule associated protein Light Chain3 (LC3) in both monolayer and spheroid culture indicating that it induced autophagy. Autophagy is the major mode of cell death induced by 6-shogaol in breast cancer cells. The efficacy of 6-shogaol in both forms of breast cancer cells raises hope for its therapeutic benefit in breast cancer treatment’. Interestingly the chemo drug, Taxol, did not show any activity against the CSCs even at 10,000 times higher concentrations! This is an important finding in itself as Taxol (paclitaxel) is regularly prescribed to treat Triple Negative Breast Cancer. The WHO has put bacon, sausages, ham and salamis in the same carcinogen category as alcohol, asbestos, arsenic and tobacco. IARC who provide the data for the WHO, have decided 34,000 people die a year from eating processed meats. However, within days it was saying that this should not stop people eating them! Research indicates their consumption is linked to an increased risk of colorectal cancer. In the past it has been linked as well to stomach cancer. Red meat consumption by contrast is only deemed a ‘probable’ carcinogen, putting it on a par with EMFs and glyphosphate. However, tobacco, arsenic and asbestos has no safe limit. Even the WHO point out that a little ham or bacon would not be too harmful. A meta-study from more than 230 scientific papers, examined the difference between organic and non-organic milk and meat products. The researchers found the organic products had far higher levels of omega-3 fatty acids in comparison to non-organic equivalents. And the human brain thrives on long-chain omega-3. Carlo Leifert from Newcastle University, a patron of CANCERactive, led the study, which destroys the GMO argument that there is no difference between organic food and genetically modified produce. "People choose organic milk and meat for three main reasons: improved animal welfare, the positive impacts of organic farming on the environment, and the perceived health benefits," Leifert said. "But much less is known about impacts on nutritional quality, hence the need for this study." The team found that organic meats had on average 47 percent more omega-3 fatty acids than non-organic meats; and organic milk products had on average 56 percent more omega-3 fatty acids than non-organic milk products. A separate study showed that organic food had much higher levels of antioxidant, plus lower levels of pesticides and heavy metals. The results of the study were published in the British Journal of Nutrition. Ever wondered why you should be eating more fibre? Scientists at the University of Reading say the results of their new randomised controlled trial show the best evidence yet that ’prebiotics’ (the foods you eat that feed your gut bacteria) can boost an elderly person’s immune system back towards the level of younger healthy adults and keep all manner of illnesses at bay. The Reading study took 40 volunteers, between the ages of 65 and 80, and tested a prebiotic called BiMuno on gut bacteria, markers of immune function and metabolites. They found that a daily supplement in powder form led to a significant increase in the beneficial bacterium, Bifidobacteria, in the gut, while boosting the immune system, producing higher numbers of white cells to help fight infections, viruses and illnesses. Interestingly there was also a reduction in inflammation in the body. Professor Glenn Gibson, who led the study at the University of Reading’s Department of Food and Nutritional Science, said: "As we get older, we tend to lose some of the health-protecting bacteria in our gut, which makes us particularly susceptible to infections." Readers can discover far more in our book; ‘The Secret Source of your good health’. The new research led by Professor Caetano Reis e Sousa, from the Francis Crick Institute in London showed that aspirin could stop the cancer’s ability to hide from the immune system in mice. There is a growing body of evidence that some cancers produce a molecule called PGE2, (Prostaglandin E2, an eicosanoid) to block an attack by the immune system. Aspirin stops this molecule being produced. Therefore it stops cancer cells hiding from the immune system. Clearly, more work is needed on humans, but given the small price of a little aspirin and its known anti-inflammatory action anyway, this really is a no-brainer for inclusion as part of an integrative programme. People must be careful if they have heart or blood problems, and the aspirin should always be taken with food to avoid the risk of stomach ulcers. Arguably, you can take the aspirin even if you are not having orthodox treatments at the time. The jury deliberated for 4 hours following a three-week hearing and awarded the family of Jacqueline Fox $10 million of actual damages and $62 million of punitive damages, according to the family’s lawyers and court records. "If you are thinking of cleaning up your Household, cosmetic and toiletry products, CLICK HERE". Roundup is used extensively in what is euphemistically called ‘Soy Republic’ an area of Latin America larger than California. 125 million acres of Brazil, Bolivia, Argentina, Paraguay and Uruguay are now contaminated and doctors in the region have noted alarming increases in cancer rates, so much so that they have formed an ‘action group’, named ‘Doctors of Fumigated towns’ They even held an International Conference in Córdoba in 2010. The Department of Medical Sciences of the National University at Córdoba sponsored the conference. An estimated 160 doctors from throughout the country attended. Dr. Medardo Avila Vazquez, a pediatrician specializing in environmental health said afterwards, "The change in how agriculture is produced has brought, frankly, a change in the profile of diseases. We’ve gone from a pretty healthy population to one with a high rate of cancer, birth defects and illnesses seldom seen before. Cancer cases are multiplying as never before in areas with massive use of pesticides." Sucralose, which makes up about 30 per cent of the sweetener market and is commonly in Splenda has been shown in Italian research from the Ramazzini Instituto to be linked to a higher risk of cancer and particularly leukaemia. The rise in cancer risk in the study was dose dependent – the more consumed, the greater the risk. The study was conducted with mice. It is hundreds of times sweeter than ordinary sugar and is found in both foods and beverages. The research team wrote: "These findings do not support previous data that sucralose is biologically inert." Sucralose consumption is also known to reduce commensal bacteria levels (the good guys) in the gut. Researchers at Portland State University have published research (Jan 22nd 2015 New England Journal of Medicine) showing that the level of Formaldehyde (a known carcinogen) is 5 to 15 times higher in the vapour of e cigarettes as it is in normal tobacco cigarettes. Originally, e cigarettes were not supposed to generate high temperatures and were thus thought to restrict inhalation of any toxic chemicals, but newer models allow people to ‘turn up the heat’. Formaldehyde is a known human carcinogen. It is a colorless, strong-smelling gas, commonly used as an adhesive in building materials such as particle board and in mortuaries as an embalming fluid. Formaldehyde is also used as an industrial fungicide, germicide and disinfectant. E-cigarette devices and their liquids are not regulated by the Food and Drug Administration (FDA). A lack of regulation means that companies are not required to disclose their manufacturing process, their ingredient list or any scientific data to the FDA. In 2013, a meta-study of research concluded that safety checks on HPV vaccines were inadequate and now Press articles in the British Press talk of 8,228 official adverse reactions in a decade, and that this was estimated to be only 10 per cent of the true total. The MHRA is insisting the vaccines are safe, even though these figures are considerably above those of other vaccines. Now the EU has decided to launch an investigation into the data on both Gardasil and Cevarix. 3,000 women are diagnosed in the UK each year with cervical cancer and the vaccines are thought to be effective against 70 per cent of cases. Although only introduced 7 years ago in 2008, the NHS is claiming the vaccination programme to be a huge success, although there don’t seem too many statistics available to support this claim. Indeed, in all the research studies on the vaccines there has never been evidence of any cancer prevented. Triclosan [5-chloro-2-(2,4-dichlorophenoxy) phenol or TCS is one of the most common additives in consumer products; it is used for its anti-microbial properties having been first approved by the FDA as a pesticide. Its widespread use finds it polluting various aspects of the environment, and repeated studies show it regularly in humans. According to the Mayo Clinic, one 2008 study found it in the blood streams of 75% of US adults and children. Researchers reporting in the Proceedings of the National Academy of Sciences in the USA have found that “TCS enhances hepatocyte proliferation, fibrogenesis, and oxidative stress, which, we believe, can be the driving force for developing advanced liver disease”. The study was conducted in mice, but researchers concluded that there would be a similar risk to humans, even to the point of liver cancer. There is also research suggesting it damages the immune system and Cancer Watch includes research that it may cause muscle damage. The antibacterial and pesticide benefits see its use in a wide variety of soaps and body washes. Worryingly, it is used in some mouthwash products and even some toothpastes. ’If you are thinking about buying supplements, why not look at ’Our Natural Selection’. All Natural supplements chosen by Chris Woollams’. Click HERE.